PMD Shale Shaker Screen are constructed with two or three 304 or 316 stainless steel wire cloth layers after compounded and bended, then they are combined together with a steel backing plate. China PMD Shale Shaker Screen manufacturer – 2018 high quality Pmd Shale Shaker Screen products in best price from TR Solids Control. PMD Shale Shaker Screen has a typical mesh cloth that appears regular waves. It can be mounted on suitable shaker by hook stripes or wedge-shaped fastening device. Compared to flat screens, Weaved screen has a higher handling capacity by reason of more useful area. We can provide various sizes of screens to serve the transcendentalism. PMD Shale Shaker Screen are the replacement products of flat screens. With the stainless steel wire cloth and bottom steel backing plate combining tightly, the Wave screen can increase the filtering area 120% to 150% more than hook strip flat screen. The waved vibrating screen can improve the quality of drilling fluid and increase the production effectively. 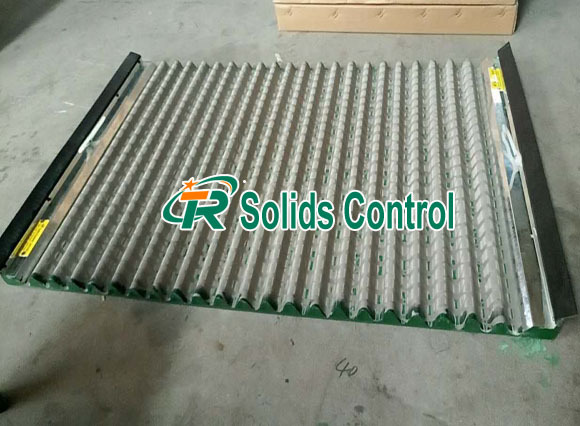 TR Solids Control is Chinese Pmd Shale Shaker Screen suppliers,Pmd Shale Shaker Screen wholesalers and factory. 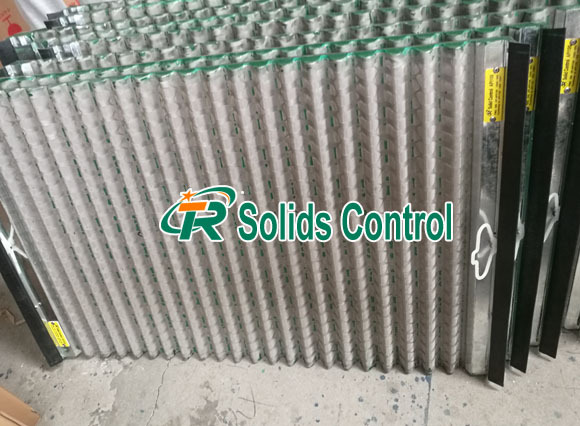 We are an exporter of 48-30 PMD Shale Shaker Screen.TR solids control is Chinese shaker screen manufacturer.We will provide the high quality Replacement PMD 48×30 Shaker Screen and Derrick PMD Shale Shaker Screen. Welcome to Visit TR E3370 in CIPPE Beijing 2019 From March 27-29th.